This breeding should take place in early December, and if all goes well, puppies will be expected in February. We should be expecting fawn and brindle puppies, and their is a possibility of fluffies. If you are interested in a puppy from this litter, please fill out one of the application forms and email it back to us. We are starting our waiting list now! 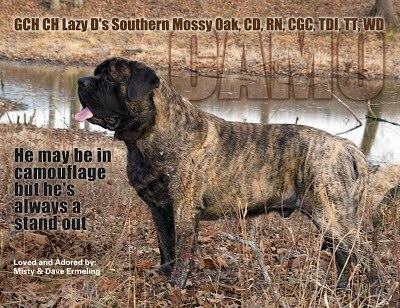 Priority will be given to pet/companion homes with previous Mastiff experience. We reserve the right to place puppies in homes we choose. Filling out an application does not guarantee a spot on our waiting list. Stud dog owner has the right to evaluate applications as well, and will approve all homes along with us. Each puppy's personality is evaluated and puppies are placed according to how their personality fits the family. Please understand that we generally do not allow prospective puppy families to reserve a puppy or choose a puppy. We are your matchmaker - because we know each puppy's personality, likes and dislikes, and where they would fit best. We do try to take our puppy family's requests into consideration, but there are always times that someone has their heart set on a puppy that just would not mesh with their current family or environment. We want this to be the perfect match for you and for the puppy! So please be patient with us while we evaluate puppies, and be open minded about which one we think would fit you best. Getting a puppy from us means you become part of our extended family. 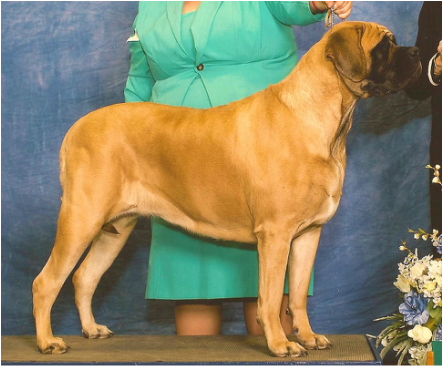 We hope that you keep in contact with us, send photos, come to the Mastiff Picnic in Medina, Ohio in September every year, and know that we are here for you 24/7 for the life of your puppy. We also guarantee to take a puppy back, at any time, for any reason, no matter how old they are. They are and always will be our responsibility, and we take that responsibility seriously! For their entire lives! 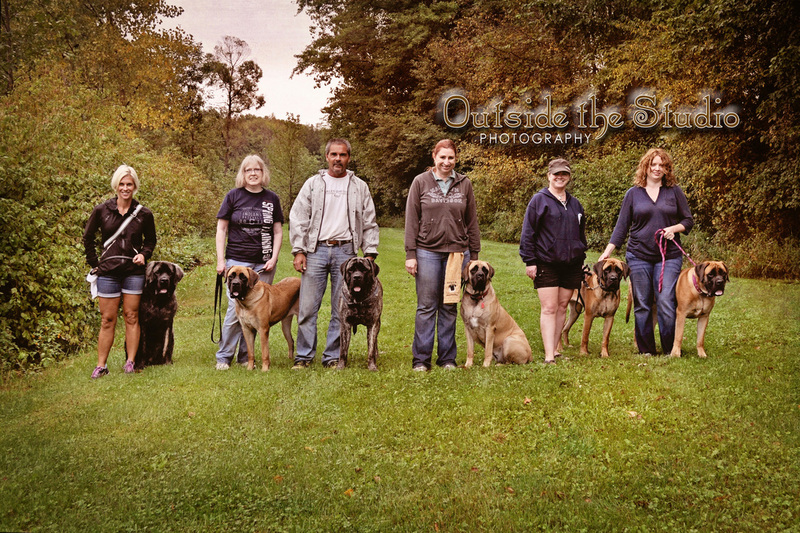 ​If you have any questions about our dogs, please don't hesitate to ask!